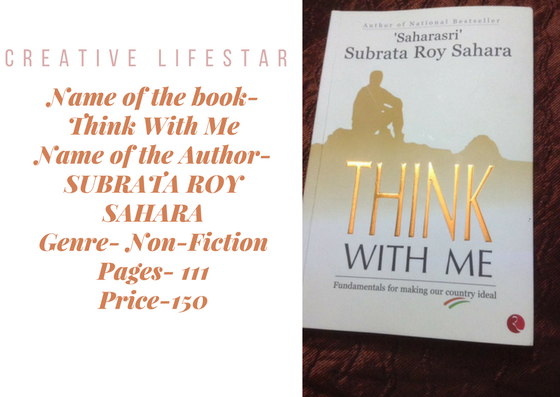 Think With Me is an adult novel by Subrata Roy Sahara. The novel is about the fundamental aspects to make country ideal. This comprised of varied aspects- political leadership, population growth, education, media, and religion. It has numerous illustrations. It laid emphasis on the issues before Independence struggle and after the independence. The author expressed his views on different aspects with reference to leadership and decision making. Presently, India’s dream to be progressive and prosperous with peace, happiness, and harmony towards people. India has a diverse Indian society with religion, caste, landforms, areas and languages. Freedom struggle leaders are honest, devoted and dedicated than today leaders. The education system should prosper people as the responsible citizen. Media should give people relevant information, awareness and develop a sense of positivity in the society. Communal riots hinder the security of the country. People emerged as a responsible future citizen of the country. Develop a sense of positive thinking among citizens. The novel begins with the diverse aspects of the democratic country. It mainly laid emphasis on the making of the country ideal. Leaders before independence were able, honest, ethical and wide emotional satisfaction whereas present leaders are unethical and limited emotional satisfaction to occupy leadership. Democratic system has free and fair elections. Moral People has acquired self-respect and self-esteem in the society and nation. Immoral people grasp the leadership position. Leaders should emphasize on ethical values. Anti-social elements eliminate with regular elections and mid- term polls. Develop a proper self- motivation. Leaders are not in favor of reducing expenses. Good governance should be in all sectors, areas, and levels of the country. India is the populous nation in the world. Sustainable economic development hinders due to the utilization of the human resource is limited. Human beings aspiration has to be fulfilled. There should be the ideal family norm. Education system develops all aspects of the knowledge of life to a person. More emphasis should be given to human psychology. Education is to be progressive. People should be logical and reasonable. Improvement in the quality standard of education. Mass media is the powerful element of communication in the country. The prominent emphasis should be laid on social welfare. Media is also responsible for the widespread of narrow mindfulness in the society. Positive news creates self-recognition and progress. Ethical people perform their duties genuinely. Infringing news should be checked by the Board. Religion means duties that are performed by people. It glorified person’s personality. Rituals restrict the people with rules and regulations. The society is divided by rituals. The great worship is to satisfy duty towards yourself, family and society or nation. A celebration of national festivals creates a sense of collective responsibility with rituals. Religious rituals hinder the society and religious scriptures laid the ways to leading a good life. People performs all the genuine duties with kindness, dedication, and enthusiasm. Religion is the performance of duty. Different religions and sects at varied places and social orders. Hindu is not a religion whereas Vaishnav and Sanatan are religion. Sikh, Buddhists, and Jains followed the Hindu way of living. Religion diversity to practice is a fundamental right. The nation should be of great importance. The National religion should be comprised the unity in diversity. 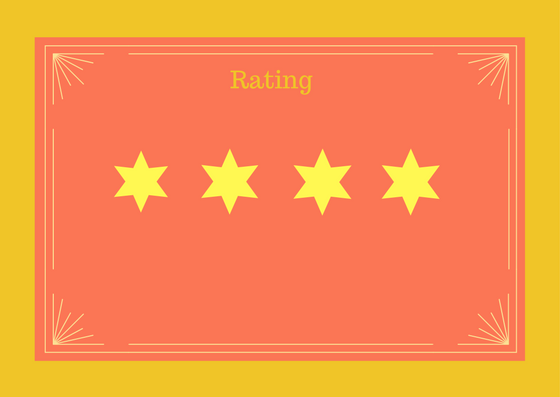 The book is a matured novel with fundamental aspects. It highlights the social and emotional aspects towards the nation. The poem dedicated to the mother is fantastic. It gives an effective impact and outlook towards life. Subrata Roy Sahara is known as Saharasri. He is the successful personality of corporate India. He laid the foundation of Sahara India Pariwar. His book “Life Mantras” was a National Bestseller. The book secured the first rank twice in the non- fiction genre and the top five best- selling books across India. He is a teacher, guide, and a proud guardian. His success of philosophy is of Collective Materialism that is continuous collective growth for collective sharing and caring. want to read this one. I am sure its a good book. The review looks pretty honest, also the book seems interesting! !